J and I both have weird jobs. Neither of us work 9-5 and we can get called in to work at weird hours. That happened Thursday night as I was laying on the couch watching a movie. I was about halfway through Spider Man: Homecoming when my phone rang. It was work. They needed me to come in for a few hours. Right after I left, the doorbell rang. At 9:30 at night, one of the kids in the neighborhood was trying to deliver some cookie dough that J bought from her as a fundraiser. I wasn’t home to get the door so she rang a couple of times waking J up. J never really got back to sleep after that and her alarm goes off at 1:45 AM…so it was a short night. J realized she was going to be tired and hungry when she got up for work so she asked if I would pick her up a pizza and a fountain pop before I came home. I think she was just expecting half a Tombstone when she got up but I had a better idea that would actually turn out to be cheaper. 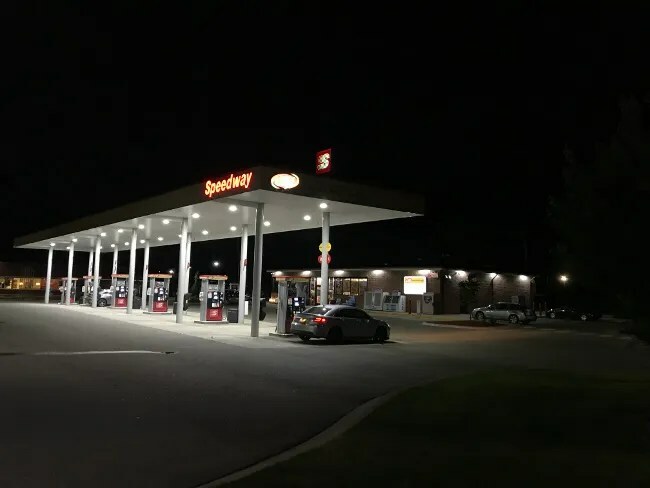 I went a little out of my way to the Speedy Cafe at the Speedway Gas Station on 9th Street in Texas Township. The gas station has been there for years but they tore it down and put up a newer, bigger, cleaner building a few years ago. At that time, I was perplexed why they didn’t make it a Speedy Cafe. The location near I-94 made it the perfect place to put one. About a year ago, they finally did what I thought they should have done from the beginning and put in the Cafe and it made me super happy. I used to stop in Wayland quite a bit when I was traveling from Grand Rapids to Kalamazoo late at night. I love the food options and I love that they’re 24/7. That worked out great on my schedule as I got off work after 11:00 and the only thing really open at that time was Taco Bell or McDonalds. 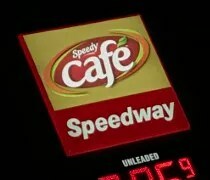 The Speedy Cafe’s have most of the stuff you can get from any Speedway out of a warming box but it’s all made fresh and you can customize. 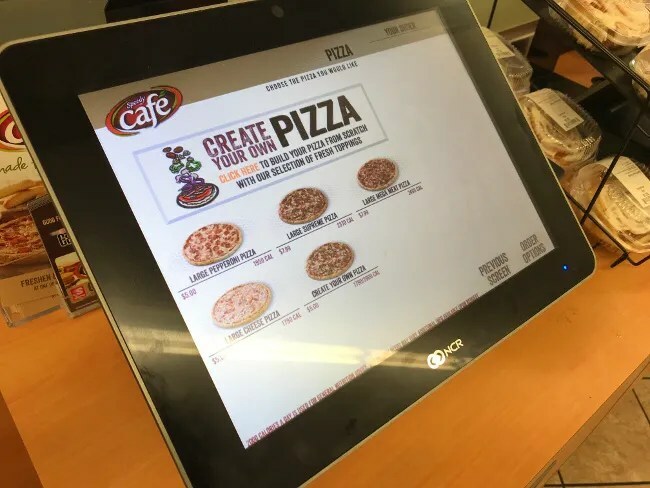 The ordering is done on touch screen kiosks in front of the prep area. 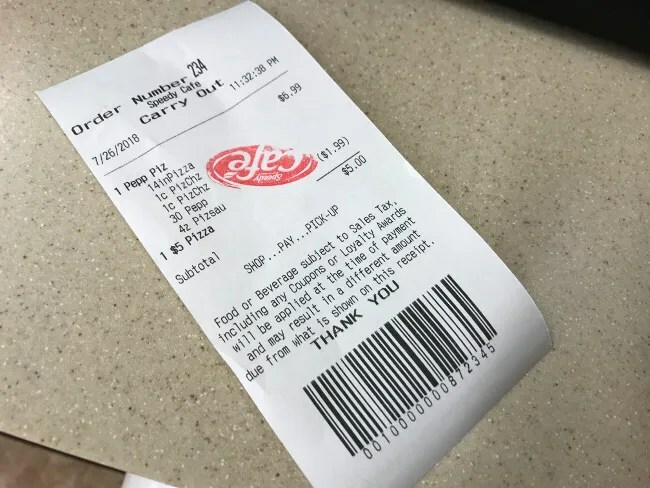 When you’ve completed the order, a ticket prints out for you to grab and take to the cashier. 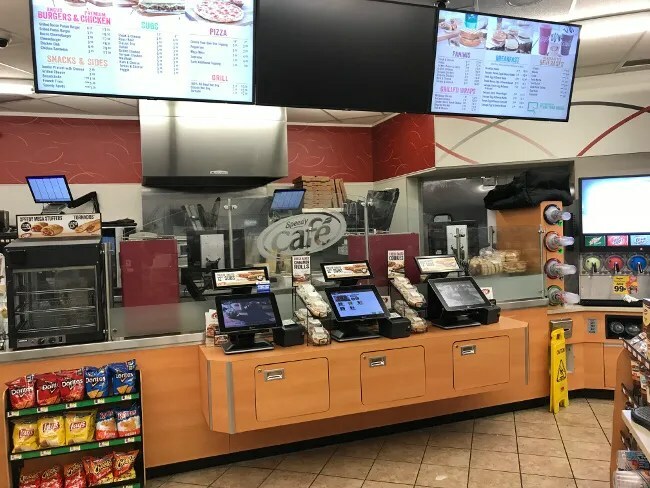 A bell dings behind the counter to let an employee know that there’s a new order waiting for them. You pay at the regular check out line and they stamp the ticket as paid. You bring it back to the Cafe area and wait for the number to be called. It usually takes 5-10 minutes depending on how busy they are. I got a large pepperoni pizza from the Cafe. The thing that I like about this place is that pizza’s are $5 and they’re made to order. It still only takes about 5-10 minutes for the pizza to cook. By the time you finish grabbing drinks and checking out, the wait is usually only a few minutes long. I really like the pizza slices from Speedway and get them quite often. It’s not gourmet pizza but it’s really good, cheap gas station pizza. For some reason, the Speedy Cafe pizzas are a little bit different. The big difference is the Speedy Cafe pizzas are made fresh while the pizzas at the regular stores are frozen. When I used to pick pizzas up in Wayland, they were never quite cooked all the way through which made them really doughy. 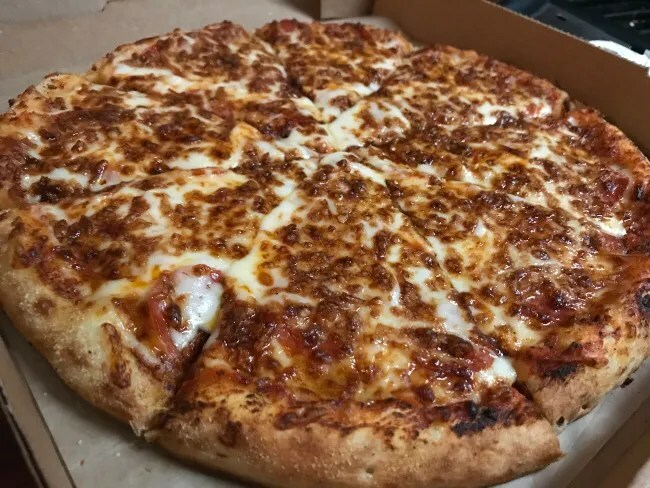 The one I got in Texas Township had a nice golden brown layer of cheese and the crust was crispy most of the way through. The taste is still not the same as the slices at the regular Speedway locations but for a five dollar pizza, it’s hard to beat the Speedy Cafe. The Speedy Cafe worked great in this situation. I needed a pop and a pizza. J got a warm, fresh pizza instead of having to settle for a frozen one. 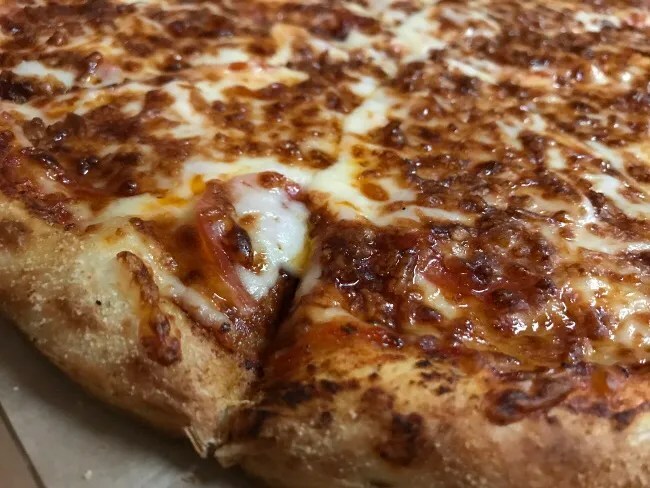 The pizza is not going to win any awards but it is a solid, tasty pizza.